For polyurea coatings – applies up to 2 gal (7.6 liters) per minute. 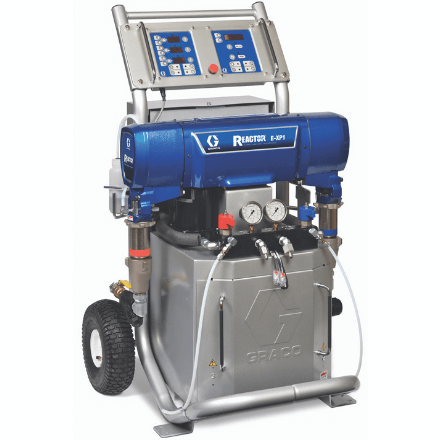 Graco also offers an electric proportioner in its new Reactor 2 series, the Reactor 2 E-XP2. Count on Graco Reactor E-Series proportioners for power, performance and productivity on fast-curing polyurea coatings. And get the job done faster and more reliably than ever before. All Graco Reactor E-XP1 documentation, manuals and resources available HERE.